Hazrat Khadija bint Khuwaylid (R.A) was born in 555A.D. Her father was Khuwaylid, a rich merchant. She was known as Tahira due to her piety and piousness. She was twice widowed and was a wealthy lady. Hazrat Khadija (R.A) was given the responsibility to carry out the inherited trade business. She was informed of a trustworthy person who was perfect for her trade business and to take her trade expeditions to other areas. That person was Holy Prophet (PBUH) and he was appointed to carry Hazrat Khadija’s (R.A) trade expedition to Syria, in promoting healthy profits. Holy Prophet (PBUH) was assisted by Khadija’s (R.A) slave, Mayserah. Holy Prophet (PBUH) came up with a considerable profit and Mayserah told Hazrat Khadija (R.A) about his excellent conduct and behavior in transactions. Hazrat Khadija (R.A) was so inspired by him, that she sent a marriage proposal that was Abu Talib on behalf of Holy Prophet (PBUH). Thus, Holy Prophet (PBUH) ranked her among his beloved wives and always admired Hazrat Khadija’s (R.A) contribution to Islam. Hazrat Ayesha (R.A) was the daughter of a most intimate companion of Holy Prophet (PBUH), Abu Bakr. She was also nicknamed as Humaira and was called Umm-e-Abdullah. She was married to Holy Prophet (PBUH) at the age of ten years, soon before the migration to Medina. After gaining maturity, the marriage was officially solemnized in Medina. This marriage also strengthened the relationship between Holy Prophet (PBUH) and Abu Bakr (R.A). Upon Prophet’s (PBUH) demise, she was just 25 years old and she spent the rest 48 years of her life propagating the message of Islam and Sunnah. 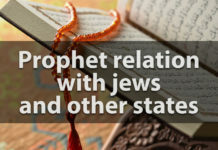 She was a prominent companion of Prophet (PBUH) and this helped her to commit a large amount of Hadith as much as 2210, which have been reported by her and are agreed upon. She was a dominant figure in assisting the companions of Holy Prophet (PBUH) to learn about Quran and Sunnah. She was a pious woman, who also had the honor of accompanying the Prophet (PBUH) in his last days when he shifted from his apartment to Hazrat Ayesha’s (R.A) room. During the Khilafat period, she conveyed the Islamic knowledge to the students and assisted the companions in the compilation and preservation of Hadith. She passed away at the age of 73 and was buried in Janat al-Baqi. Hazrat Hafsah bint Umar (R.A) was the daughter of Hazrat Umar (R.A) who was one of the closest companions of Holy Prophet (PBUH). She was first married to Khunais, son of Huzaifah. She accepted Islam along with her parents. Hazrat Hafsah bint Umar (R.A) was among the people who migrated to Abyssinia which was ruled by Negus at that time. Hazrat Hafsah’s (R.A) husband participated in the Battle of Badr and lost his life as the consequence. Upon the completion of Iddat, Prophet (PBUH) sent her a proposal, which was accepted by her. Hazrat Hafsah bint Umar (R.A) was a pious and orthodox female, who devoted her life to Prophet (PBUH) and Islam. She became the teacher of Fiqah and Sunnah. She reported at least 60 traditions. Hazrat Hafsah bint Umar (R.A) was also the custodian of the Mushaf, the compilation of Quran, done under the supervision of Zaid bin Thabit (R.A) and this is why it was called Mushaf-e-Hafsah. Several copies of that compilation were made and transmitted and that is how we have the Holy Quran today. Hazrat Hafsah (R.A) passed away in the Khilafat of Muawiya. She was buried in Janat al-Baqi. Hazrat Sawdah bint Zama’ah (R.A) was a scholarly and pious lady. She had migrated to Abbysinia along with her husband. Sawdah (R.A) returned to Mecca after her husband died there. At this time, Khadija (R.A), the first wife of the Prophet (PBUH) had just passed away. Prophet Muhammad (PBUH) had children who needed care. The Prophet (PBUH), who named the year of Khadija’s (R.A) death as ‘the year of sadness’ was having a troubled time. This situation of the Prophet was felt by everybody. 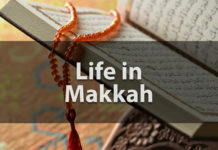 Hawla, the daughter of Hakim and the wife of Uthman bin Maz’un, saw the sadness of the Prophet and proposed to find a partner for him, and he asserted. Prophet Muhammad (PBUH) was very much affected by the loyalty to faith that Sawda had shown and as a result of the respect and high value that he attached to her, he proposed to marry her. Sawdah (R.A) was at the age of fifty when she married the Prophet. Hazrat Sawdah (R.A) proved to be a loving and devoting wife to him. Prophet (PBUH) also admired her simplicity and righteousness. Later, when Holy Prophet (PBUH) married Hazrat Ayesha (R.A), Hazrat Sawdah (R.A) took care of her needs and loved Hazrat Ayesha (R.A). Hazrat Sawdah (R.A) had her compartment shared with Hazrat Ayesha (R.A) and had the privilege to accompany Holy Prophet (PBUH) in his last days. She was so passionate and attached to Holy Prophet (PBUH) that even after his demise, she did not leave her apartment for Hajj or Umrah. Hazrat Sawdah (R.A) died in the 22nd year of Hijrah, after the end of Hazrat Umar’s (R.A) Khilafat. She was buried in Janat al-Baqi. There are stories of Prophet (PBUH) with Hassan (R.A) and Hussain (R.A) about allowing them to sit on his back while he was prostrating during prayers. In addition, once Prophet (PBUH) suddenly interrupted his sermon and came down from the Minbar to pick Hassan (R.A) up when he tripped over while reaching Prophet (PBUH). This exhibits the love that Prophet (PBUH) felt and also the pride he took in his grandchildren. Hassan was only eight years old when Holy Prophet (PBUH) passed away and he spent his youth under the guidance of his father, Hazrat Ali (R.A). When Hazrat Usman (R.A) got besieged in his house by the non-believers, Hazrat Ali (R.A) sent Hassan (R.A) there several times with food and water. In his attempt to save Hazrat Umar (R.A), he sustained several injuries at the hands of rebels, before Umar’s (R.A) assassination in 656 A.D.
During Hazrat Ali’s (R.A) caliphate, Hazrat Hassan (R.A) participated in all the battles and was held the administrator of Bait-ul-Maal. He also was sent to Qufa, to seek the reinforcements during the struggle against Talha, Zubair and Ayesha (R.A). He was a part of his father’s army in the Battle of Siffin. On the 21st of Ramazan, after the deceasing of Hazrat Ali (R.A), he was declared as the next caliph with the agreement of 40 thousand people. Ameer Muawiya did not show allegiance to Hazrat Imam Hassan (R.A) and prepared an army to encounter him. Hassan (R.A) too assembled his followers and found an army of four thousand warriors. Whereas, Muawiya’s army outranked them with a total of 40 thousand well-prepared fighters. The armies settled at Amba. Muawiya sent a messenger to warn Hassan (R.A) to surrender and his life would be forsaken. Upon hearing this, many Iraqi soldiers deserted from Hazrat Imam Hassan’s army, as they were demoralized and were afraid of dying. Therefore, a peace treaty was signed between the two parties. Consequently, Imam Hassan (R.A) announced that, in order to prevent bloodshed, he was abdicating Khilafat. Later on, he retired to Medina for the rest of his life. He passed away in 50 A.H at in Medina because of poisoning by Ja’da, one of his wives, who was enticed by Muawiya’s promises and marriage to his own son; Shi’i. Muslims regard Hassan (R.A) as the second Imam following Hazrat Ali bin Abi Talib (R.A). Muslims also believe him to be sinless and perfect in actions and they carry a deep respect for him. He was buried in Janat al-Baqi in Medina. He was a loyal supporter of his father Hazrat Ali (R.A) and after Hazrat Ali’s (R.A) assassination, he was reluctant to accept Hassan’s renunciation of the Caliphate, though he knew Muawiya was too strong to resist. He made his rejection of Umayyads clear when as one of five senior Muslims, he refused Muawiya’s request to acknowledge Yazid, his son, as a successor to the throne of Caliphate. Hussain didn’t show allegiance to Yazid as the nomination of Khilafat was against the Islamic tradition. After his refusal to recognize Yazid as a caliph, a deputation from people of Kufa approached Imam Hussain and requested him to come to their rescue as Yazid’s Governor was persecuting them. His friends knew the deceitful nature of Kufans and persuaded him not to go there. Therefore, he sent his cousin Muslim Ibn Aqeel, who was warmly welcomed there. He detected a widespread support among the Kufans and wrote a letter to encourage Hussain (R.A) to come over to Kufa. Whereas all the leader of town were bribed and as soon as the letter was dispatched, Muslim was martyred. Hussain had already left Makkah, for Kufa in 59 A.H. On the way he heard the news of the Muslim’s assassination. With it, a large number of companions began to desert him but Imam Hussain still proceeded. Soldiers were dispatched to bring Hussain (R.A) either to Kufa or Damascus. Unaware of the plot of his enemies, he stopped and camped at Karbala. Soon Yazid’s army surrounded the camp. On 7th of Muharram, 61 A.H, Yazid’s army cut off all sources of supply of water to the camp. All efforts to persuade Hussain to show allegiance to Yazid as a Caliph were in vain. Hussain (R.A) decided to wage a war against Yazid’s men but his followers knew that they would be killed, so they began to retreat and only 72 were left against an army of 4000 soldiers that surrounded from all directions. Finally, on 10th of Muharram, all his supporters were slain and only he was left behind. He went to his sick son, Zain-ul-Abideen who was inside a tent nearby, passed over the charge of Imamat to him and came back to the battlefield. Afterward, he died after being hit by falling arrows and axes on him. His head was cut off and was taken to Yazid’s court. Muslims to this day, tremendously regret and feel sorrowful for this event at Karbala and forever will. These companions rendered invaluable services for the growth of Islam and expansion and even supported Prophet Muhammad (S.A.W) at the time when the early Muslims were mercilessly targeted to cruel forms of persecution. Allah (SWT) rewarded them by giving them glad tidings of entry into paradise during their lifetime that is why they are titled as Ashrah-e-Mubashrah i.e. He was Ameer son of Abdullah ibn Al Jarrah ibn Helal ibn Ahib ibn Dubba ibn Alharith famously known as Abu Ubaidah Ibn Al Jarrah. He embraced Islam at the hands of Abu Bakr As-Siddique at the dawn of Islam, even before the Prophet walked into Daar Al-Arqam. He immigrated to Abyssinia during the second emigration, and then returned to stand by the Prophet at Badr, Uhad, and the rest of the great battles. He was one of the ten men who the Prophet, peace, and blessings are upon him, assured them that they would enter Paradise he adhered to the standard of Islam wherever he went, as a soldier in command with valor and esteem, and as a soldier under command with modesty and faithfulness. During Hazrat Umar’s caliphate, he commanded the Muslim forces which captured Palestine and Syria. Hazrat Umar Ibne Khatab (R.A) appointed him as the commander of Muslim forces in place of Hazrat Khalid bin Waleed. He died in 639 A.D as a result of an out break of a plague known as Taun Amawas near Al-Jabiya at the age of 58. Ever since he heard this advice from the Messenger of Allah, he started lending to Allah a goodly loan. Then Allah increased it manifold to His credit in repaying. He distinguished himself in both the battles of Badr and Uhad. He was wounded on the Day of Uhadwith twenty wounds, one of which left a permanent lameness in one leg, and that some of his teeth fell out on the same day, leaving a clear defect in his articulation – When the Prophet (S.A.W) passed away, Abdur-Rahman took on the responsibility of looking after the needs of his family, the Ummhat al-Muminun. He would go with them wherever they wanted to and he even performed Hajj with them to ensure that all their needs were met. In A.H. 35 his Soul ascended to its Creator. Hazrat Zubair bin Al-Awam (R.A) was also one of those given the glad tidings of Paradise during the lifetime of Holy Prophet (S.A.W). He was also a cousin of Prophet (S.A.W). He embraced Islam shortly after Hazrat Abu Bakr (R.A) when he was just fifteen years old. Hazrat Zubair immigrated to Abyssinia due to the severe persecution of the Quraish. From Abyssinia he migrated to Madinah. He fought alongside the Holy Prophet (S.A.W) in all of the battles including the Battle of Uhad, Khandak, the conquest of Makkah, Khyber expedition, Hunnain, the siege of Taif as well as Conquest of Egypt. He was the first one who drew his sword to the cause of making the word of Allah supreme. after the demise of Holy Prophet (S.A.W), Hazrat Zubair (R.A) led a life of almost total seclusion but continued his support for Islam and its armies whenever needed. He loved Hazrat Ali (R.A) very much but during Hazrat Ali’s (R.A) caliphate, he had some differences with Hazrat Ali (R.A) on the martyrdom of Hazrat Usman (R.A), these differences were due to some misunderstandings. The said event of Hazrat Zubair (R.A) killing occurred in 36 A.H/ 656 A.D.
During the caliphate of Hazrat Abu Bakr Siddique (R.A) and Hazrat Umar (R.A) he remained an active and important member of the Advisory Council and his advice was taught on all important matters. Hazrat Talha (R.A) swore allegiance to the fourth Caliph of Islam Hazrat Ali (R.A) after the assassination of Hazrat Usman (R.A). But later he turned against Hazrat Ali (R.A) for not taking immediate actions against the murderers of Hazrat Usman (R.A) and he joined Hazrat Ayesha (R.A) in the battle of Camel. However, negotiations took place between the two parties. After this Talha (R.A) decided to withdraw from war but however, the mischief-makers martyred him. Hazrat Talha (R.A) was 62 years old when he was martyred.